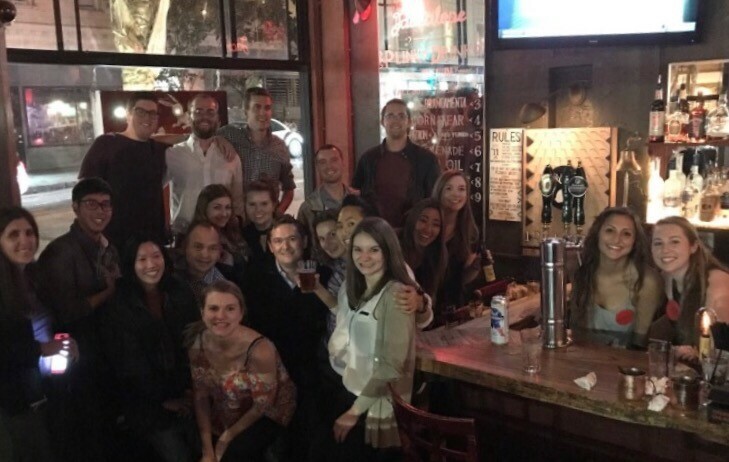 On November 15, the CHS NorCal board guest bartended at Jackalope, a local bar known for their “Drink-O Plink-O” game. All tips earned from went towards the Gail Minsky Memorial Scholarship Fund for Northern California. The Hotelies in attendance enjoyed a wonderful evening of comradery and fundraising led by our bartenders Julie Surago MMH ’16, Alyssa DiMaria ‘15m, Maddie Klaff ’17, Warner Hazel ’17, Madeleine Fessenden ’16 and Savannah Woodworth ’16. CHS Northern California board guest bartends at Jackalope.